Discover the flavors of Quito on this culinary tour packed with sweet treats and tasty tamales. 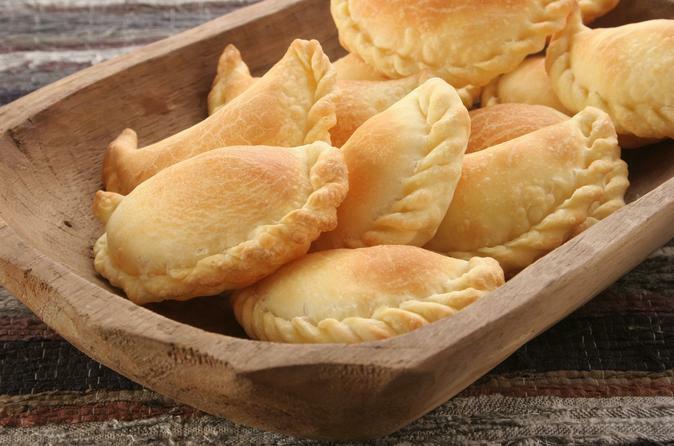 Meet artisan bakers and talented cooks and learn the secrets to making popular Ecuadorian dishes. Admire the historical architecture of Quito as you walk from place to place and take a cooking class with a local expert chef. This flavor-filled food tour is a perfect introduction to the Ecuadorian food scene. 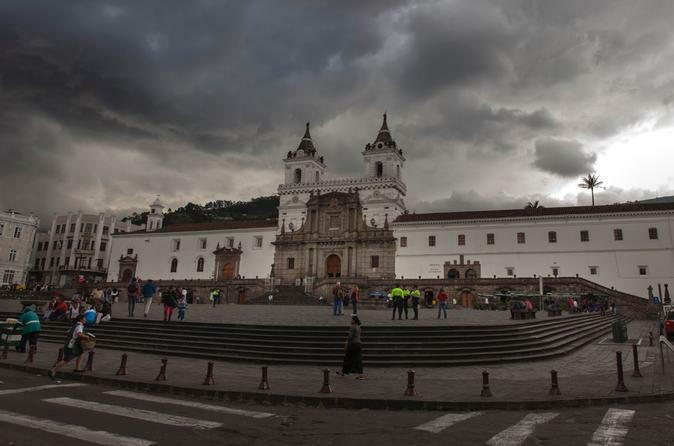 Visit the Old Town Quito and discover some of the city's most historic buildings as well as the local food culture on this full-day walking tour! 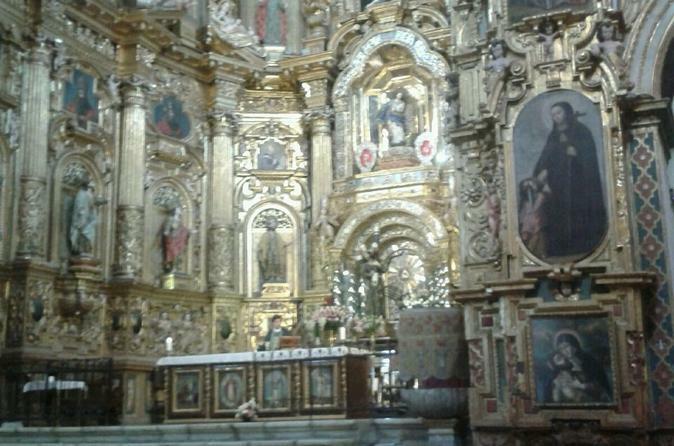 Tour the Monastery of San Francisco and learn about its impressive history from your expert guide. Admire the Independence Monument, Archbishop's Palace and Government Palace while at Independence Plaza. Plus taste and try to make authentic Ecuadorian chocolate. 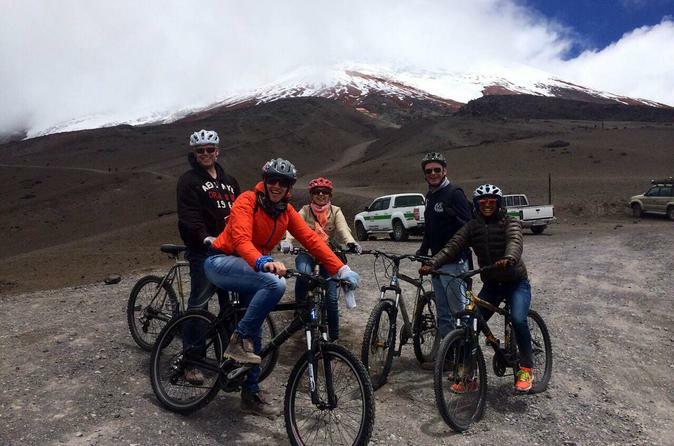 The Andean landscape in Ecuador will be even more spectacular exploring it by bike! Don’t think about it, come with us and we will provide you the best equipment that you will require to get to Cotopaxi National Park. Besides enjoying the highest active volcano at 5,897 meter (19,347 feet), we will get to Limpiopungo Lagoon to admire the reason why Cotopaxi means Moon’s throne. Inside the national park we hike up to the refuge which is situated at 4,810meters (15,780 feet) on the Cotopaxi snowline. This is mainly a hiking tour trip combined with an optional part of downhill biking. 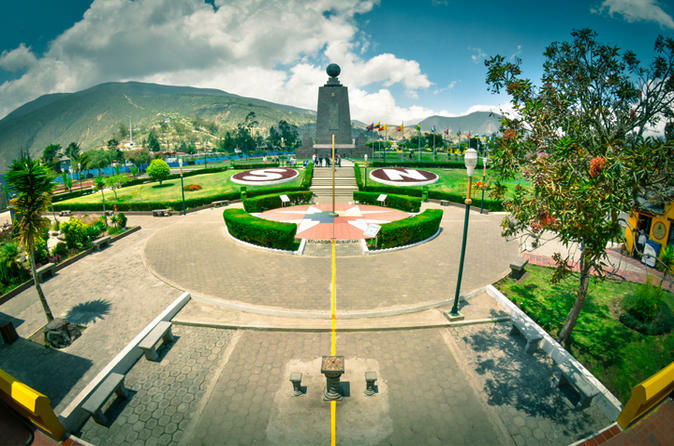 Enjoy a full-day city tour of Quito and visit the famous Middle of the World monument, known as Mitad del Mundo. 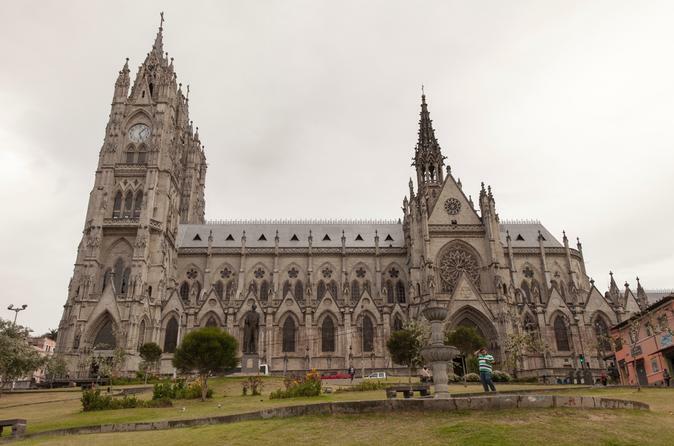 You will be accompanied by a bilingual certified guide and have private transportation from and to your hotel in Quito. 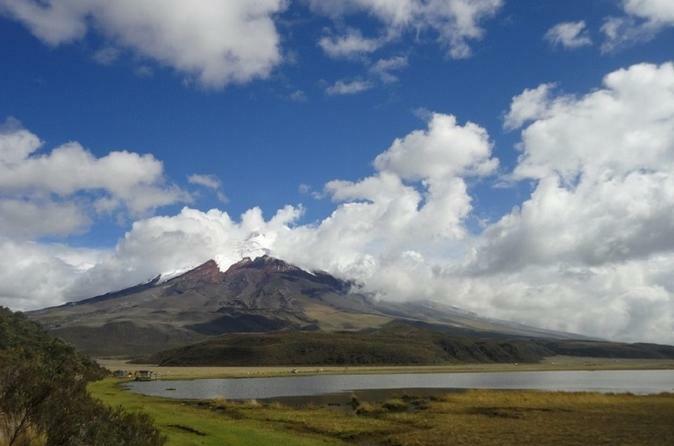 Enjoy a day trip to Cotopaxi Volcano located in Cotopaxi National Park. 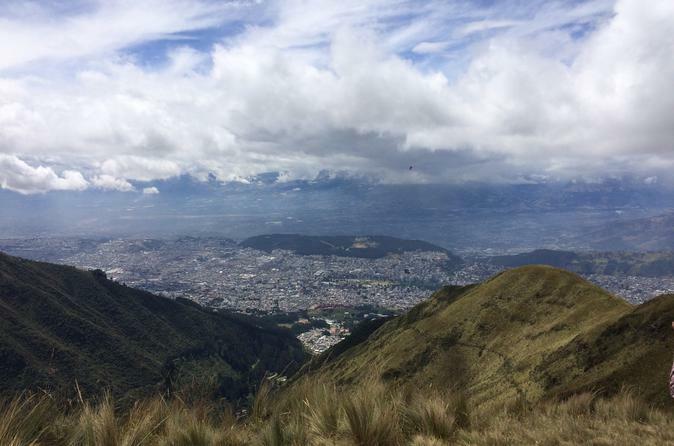 Departing from Quito, admire the beautiful Andes mountain range and enjoy a day away from the hustle and bustle of the city. Your tour includes transportation and a professional guide. Visit the main attractions of Imbabura; the Solar Clock Quitsato in Cayambe, Otavalo Market - the largest indigenous market in South America- which is a great place for shopping. Visit Peguche Waterfall and Cuicocha Lagoon in Cotacachi-Cayapas. 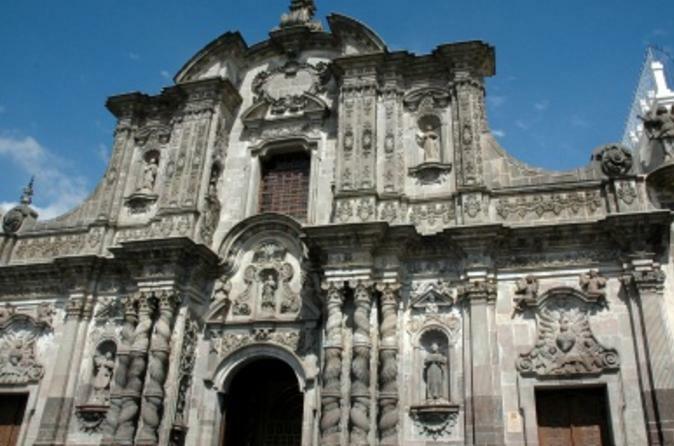 Join this 4-hour tour in the Old District of Quito which have been recognized by UNESCO as a World Heritage because of its historical buildings, churches, museums and Plazas. 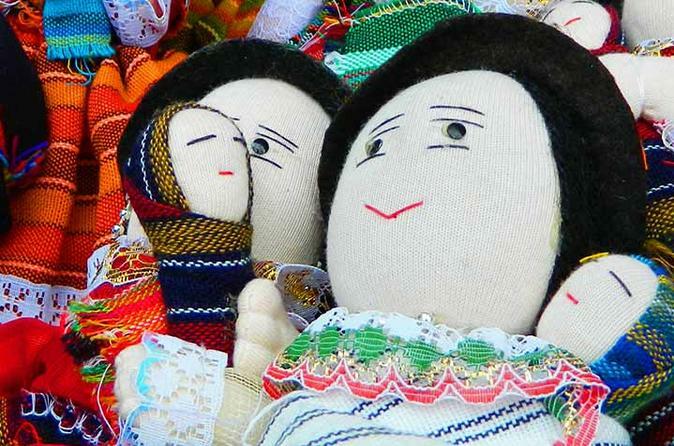 Join us and enjoy to get to know about History, Culture and Gastronomy of Quito and Ecuador. Otavalo is a small town in Ecuador. It has about 50.000 inhabitants and is the capital of the canton of the same name. 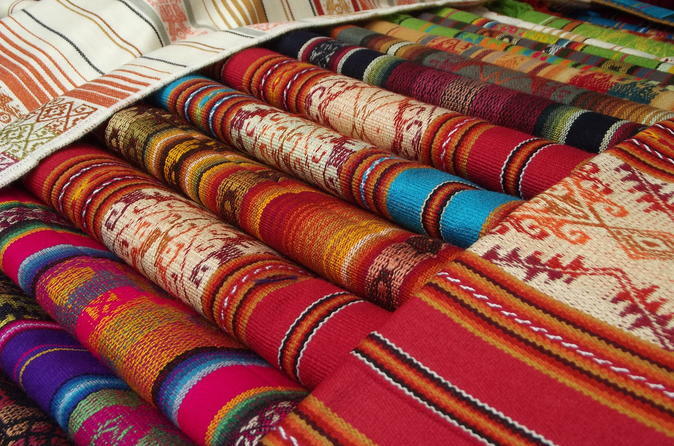 The village is world-famous for its indigenous population, the so-called Otavalo’s, many of which are travelling around the world to sell their famous handicrafts or play in Andean Folk music groups. 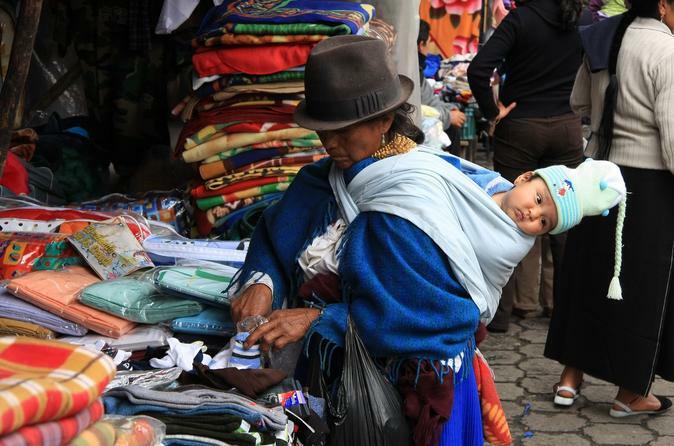 The Otavalo’s are considered the economically most successful indigenous group of Latin America. 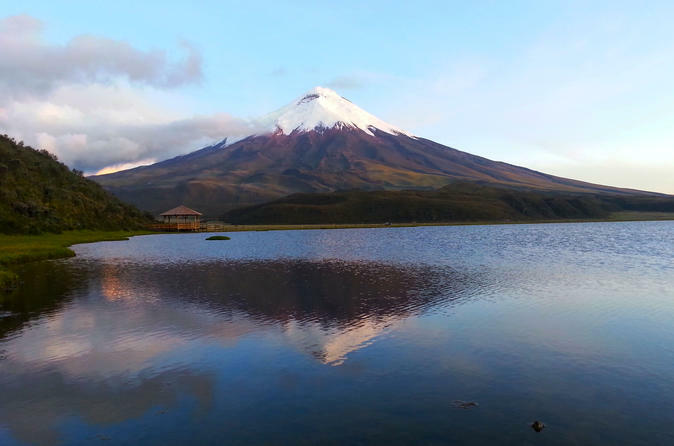 Visit the Cotopaxi National Park in this full-day tour from Quito! Treat yourself to a day of pampering and relaxation at the Termas de Papallacta Spa & Resort. You’ll be driven from Quito through the Amazon jungle to the retreat center, where you’ll enjoy soothing thermal pools and optional services and activities such as massages, aroma therapy and even a hike or horseback ride. You will enjoy a full-day cultural tour and discover and combine the famous indigenous market in Ecuador along with seeing some of the amazing views in locations outside of Otavalo. You will join a group of other (international) travelers and an English speaking guide will stay with you the whole day. Group size is max 15 people. We begin the tour to the Equator aboard the only double-decker bus from Quito. The first stop is at Pululahua to visit the viewpoint of the crater, one of only two inhabited craters in the world. 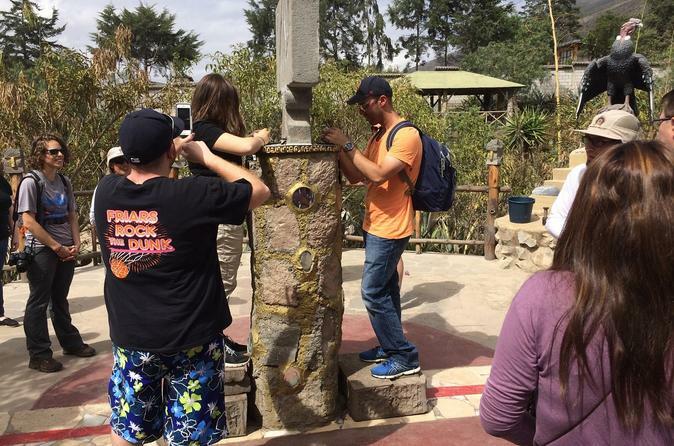 Next, bilingual guides will lead through the Museum Intiñan where you can see various demonstrations of natural phenomena, gravity and balance manifested in the equatorial zone. Later we continue onto the Middle of the World, to visit the Ethnographic Museum and all its attractions with VIP access to get the best picture with one foot in each hemisphere.